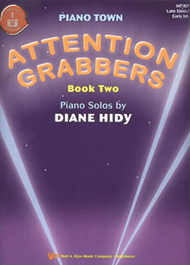 ​”If I had a third arm, I could play this duet all by myself,” Annie commented after learning both parts of a duet in her Piano Safari book. “But it’s so hard to find clothes when you have a third arm,” I​ replied. Pretty quick wit for a third grader, I thought to myself. My piano students often enjoy a bit of silliness, and I’m always happy to oblige. It can help make their lessons fun and memorable. Yesterday, Elliot came to his lesson with his practice chart filled out, and a solid amount of daily practice recorded–enough to warrant a dive into the prize box. He chose this sticky, stretchy green hand as his prize, and you can see what he immediately thought to do with it. It was 60 seconds of silliness that made us both laugh. Not a bad way to start a lesson. 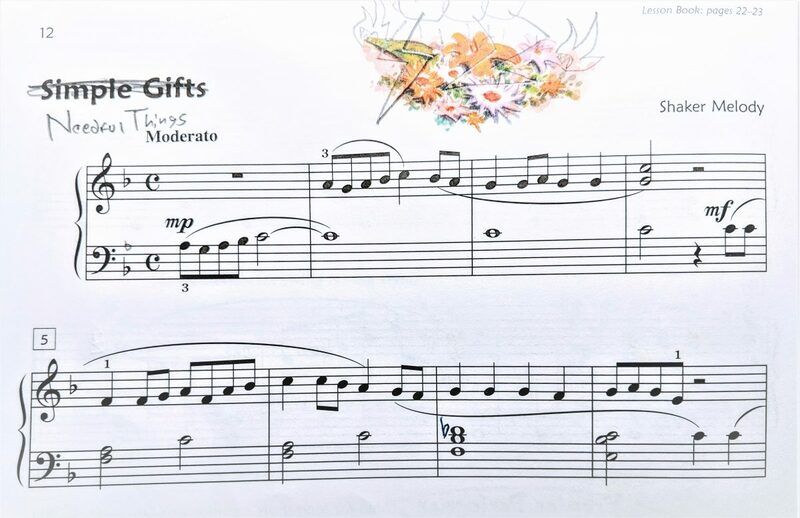 Later in the day, Sarah, who’s healing from a broken finger on her right hand, was working on a piece for left hand from Melody Bober’s delightful Grand One-Hand Solos for Piano, Book 3. Sarah’s a good sight reader and a strong pianist in general, but she had tripped over a rhythm on her first reading of the piece the week before, so I immediately gave her a silly lyric to help establish the rhythm. By today’s lesson I’d already forgotten the lyric; but she, obviously, had not. As she played the piece, she sang the silly lyric, and her rhythm was perfect. 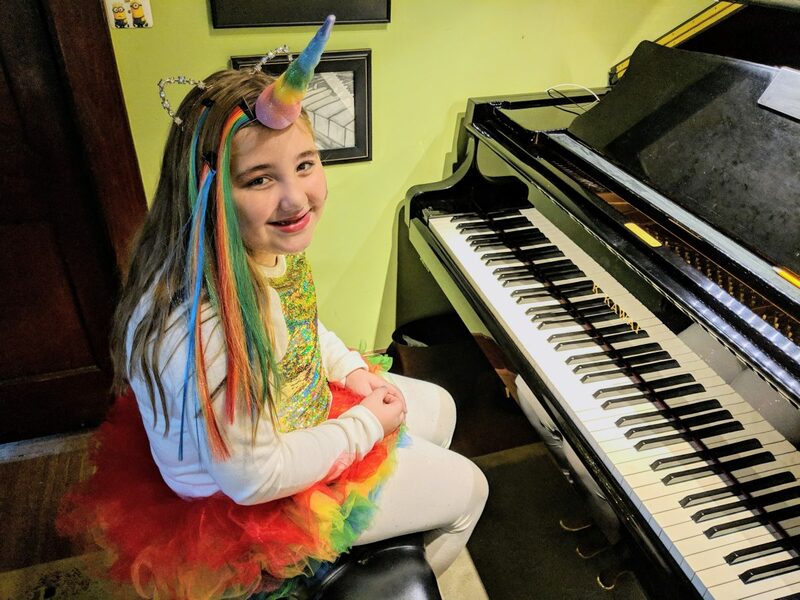 A bit of silliness can go a long way with children to help them enjoy their lessons, or, as in Sarah’s case, to correctly establish a musical concept. We teachers are always mindful about spending our minimal lesson time well, but a bit of silliness and a few hearty laughs needn’t be time wasted. Embrace a bit of silliness, I say. Your students will love you for it. The notes and rhythms were correct, but it was too fast, and it sounded mechanical and boring. There was no voicing of the melody, no breathing with the phrases, no rubato. It was dreadful. “Listen to this,” I said, and pulled up Ella Fitzgerald’s recording on YouTube. “Now make it sound like that,” I requested when we finished listening. That was all he needed. He got it. He had just finished learning two pieces from Diane Hidy’s set titled Mean Little Monsters, and he loved those. I wasn’t surprised that Simple Gifts didn’t appeal to him. “What if we make it minor?” I asked, demonstrating the first line of the piece in the parallel minor key. Problem solved. Happy 7th grader. Do you teach on Halloween, or do you take the day off, knowing your younger students will want to spend the evening trick-or-treating? 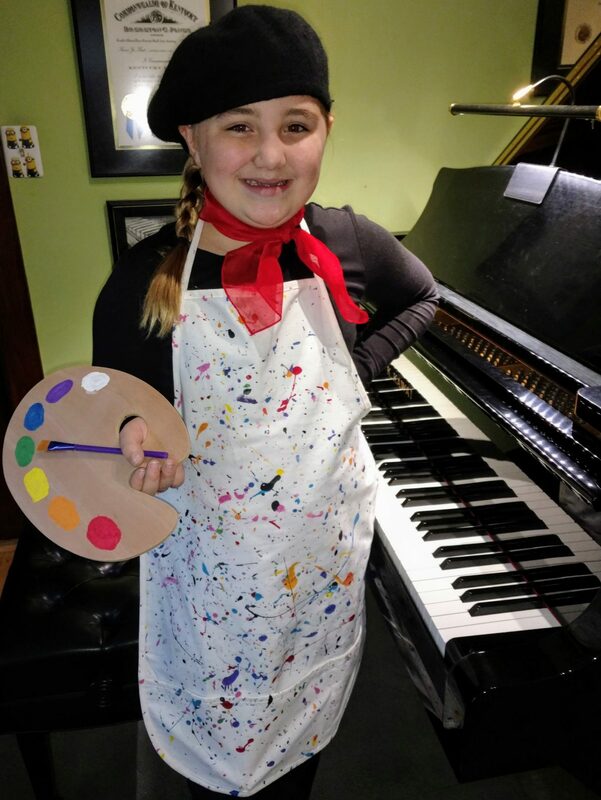 I’ve always kept Halloween as a normal teaching day, but I encourage students to wear their costumes to piano lessons. “What’s your costume gonna be?” a student asked me this year. I have to confess, I just wore my piano teacher costume. If a young student’s piano lesson falls during prime trick-or-treating hours, I encourage them to trade times with an older student who comes on another day. Most of the older students don’t participate in trick-or-treating anyway, so that often works to avoid lesson cancellations on Halloween. This year only one student cancelled her Halloween lesson. Many years, we manage to work out lesson trading so that no one has to cancel. 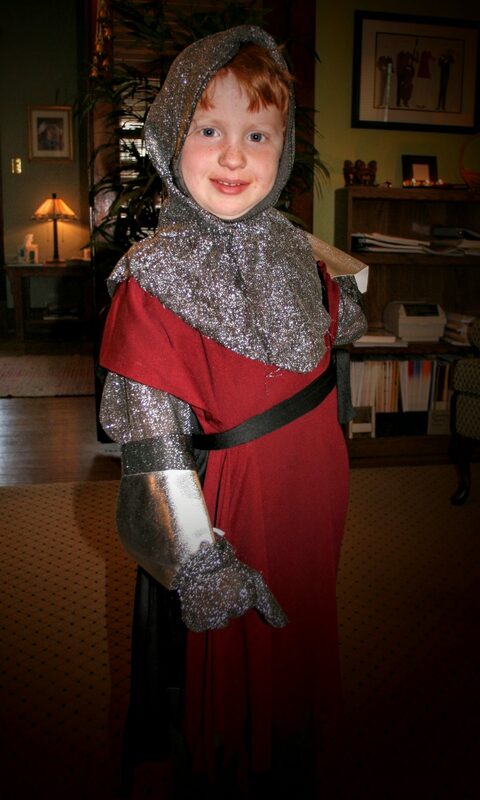 And the fun of having students come to their lesson in costume is a treat I always look forward to. 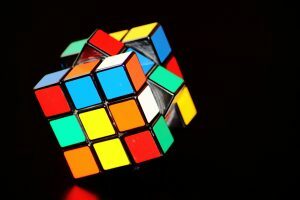 Setting up your teaching schedule can feel like trying to solve a complicated puzzle. Are you stressing over setting up your fall teaching schedule? It’s that dreaded time of year, and I’ve witnessed many teachers expressing frustration with this process lately. We’re grateful for all our students, of course; and having enough of them to make scheduling a challenge is not a bad problem to have. Still, the process can be exasperating. I’m happy to say I’ve eliminated most of the scheduling stress in my studio. Here’s how I do it. At the final lesson of the spring semester, we have a parent conference. At least one parent comes to the lesson so we can discuss progress, future goals, and fall term scheduling. I always tell families they get first dibs on their current lesson time. That’s a big win for folks. They’ve grown accustomed to that time. They’ve managed to schedule everything else around it, making it work for the past nine months (or longer). Everyone appreciates having the option to keep their current time; and most families take advantage of it. I should add that in order to secure their chosen fall lesson time, students must take a minimum of four summer lessons or pay the equivalent fee. Not taking any summer lessons means they get no choice for their fall lesson time and simply have to take whatever opening is left. I can’t remember any students ever having made that choice. Of course, there are always a few students who, for one reason or another, really must ask for a new school-year lesson time. During the parent conference, I show those folks the times I already know will be available, and promise to email them with any other openings at the end of the week, when all parent conferences have been completed. Often, families will select a new lesson time from the options I have available right during the parent conference. I ask the others to work out a new time from the pool of available slots before June 1. If there are folks who just can’t find a suitable time from the available openings, I jump in to help. This summer, I had to help only two families. When they told me that none of the available openings would work, I emailed a group of already-scheduled students whose lesson times were in the range of possibility for these families. I explained that the students I was trying to help would be getting out of school at a later time this year, so they required a later lesson time. Would anyone be willing to take an earlier time to help these two families? Thankfully, two students quickly volunteered, and we had a working fall lesson schedule within a few hours of my initial email. One of the benefits of this system is that it prods folks to make their piano lesson time a priority. When families know there will be only a very small pool of lesson times to choose from, they often simply hang on to the time slot they already have. And committing to a fall lesson time at the end of May, or soon thereafter, necessitates that they schedule other after-school activities around that piano lesson time. I’m quite sure student families actually appreciate getting their fall lesson time nailed down early in the summer. I suspect it helps them as much as it helps the teacher. Has setting up your school-year teaching schedule been driving you nuts? If so, I encourage you to give this system, or something like it, a try. 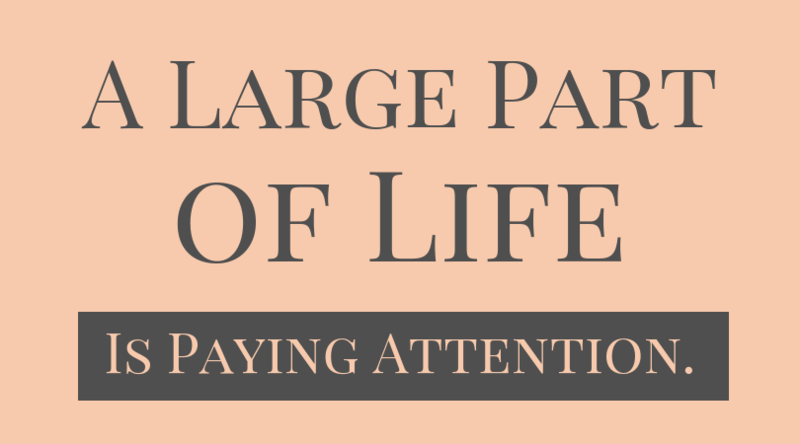 However you choose to create your schedule, I urge you not to do it in a way that makes people think you’ll be happy to jump through hoops at the last minute to accommodate all their other after-school activities. That’s too stressful. 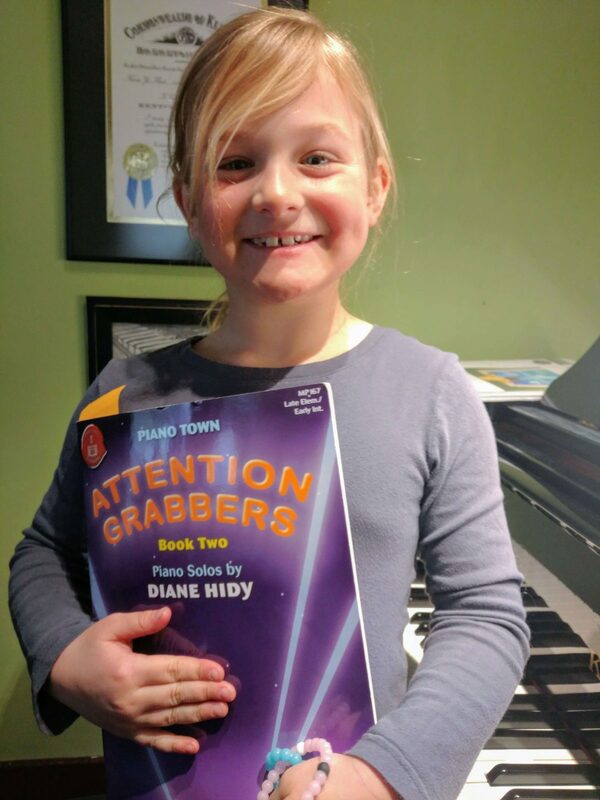 There are kind ways to encourage students to commit to a piano lesson time before scheduling everything else they’d like to do. How do you work out your school-year teaching schedule? I’d love to hear what’s worked for you. Teaching piano, I use my smartphone camera in lessons every day. I photograph assignment sheets at the end of each lesson. 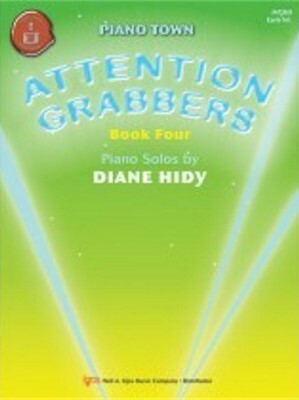 I photograph any new books or sheet music I’m assigning or loaning. I often take videos of students when they’re playing something especially well. I take photos to document special achievements, such as completing a 30 or 40-Piece Challenge. If I kept all of those photos and videos on my phone, the storage would fill up very quickly. I delete the day’s photos from my phone, knowing that I can now view them in the Google Photos app or with any web browser. Then I head to https://photos.google.com on my computer where I tag each photo I’ve taken with the name of the appropriate student. It takes about 3 minutes, but then I have a searchable photo record for each student I teach. By now I’ve accumulated photos and videos from several years, so when students finish their study with me, I like to assemble some sort of collection to give them. 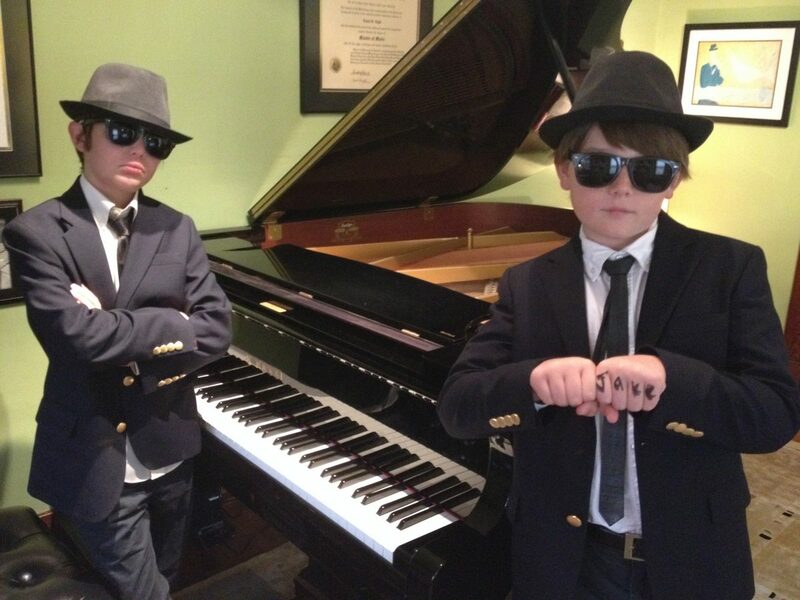 Sometimes I just share a big folder of fun images that show the student participating in a variety of piano events through their years of study. Sometimes, I’ll create a video. But always, I have a nice collection of images to share with students when they graduate or otherwise end their years of study with me. Here’s a short clip from a senior video I made this spring. Liam had studied with me since his elementary school years, so I just overlaid some pictures of his really young years on top of a video he made as a senior. I’ve gone through a couple of phones and computers since Liam started piano lessons, but all my photos of him were easily retrievable since they were stored at Google Photos. Google Photos is a fantastic free service. If you haven’t used it, I encourage you to download the smartphone app and give it a try. Logan had heard her older brother play Mashed Potato Clouds, and she loved it! More than a year later, I suggested that she might like to learn it, too. “Will I be able to play it for recital?” she asked excitedly. “That was my exact plan,” I responded. Students love Mashed Potato Clouds! It has a catchy tune with a pop kind of vibe. It sounds harder than it is, and the repeated melodic and rhythmic patterns make it easy to learn. Every time I have a student play it on a recital, another student asks to learn it. 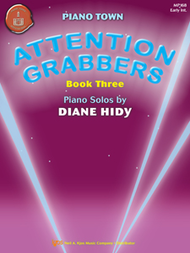 Find it in Diane Hidy’s Attention Grabbers, Book 2, published by Kjos. All four of the books in this set are fantastic, but the biggest hit from them in my studio (so far) has been Mashed Potato Clouds.